On August 8th HuffPost teamed up with Más Mejor to present a Latinx stand-up showcase at SubCulture New York. Fortunately, for non-speakers, the show was not in Spanish. It did, as the name suggests, highlight some of the hottest and newest Latinx comedians on the scene right now. This type of showcase is important. 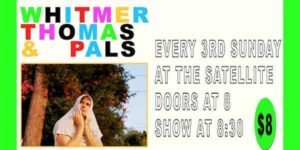 Not only is it crucial to celebrate diversity in comedy, but having a bill that is all Latinx allows these comedians to explore the depths of their comedic abilities. They won’t be singled out as one Hispanic comedian. Not this time. No, this time they’re all Hispanic! Gina Brillon (Alex Strangelove, Kevin Can Wait) was the first comic of the evening, proving that she isn’t just funny for a Puerto Rican woman; she’s just funny. It could be the way she acts out her jokes – feeling like a teacher when dating younger guys, or how she lets her jokes sit for a minute. Whatever it is, whatever it’s called (it could be called “cream cheese, yes” for that matter) it’s funny and it’s working. Gina not only set the bar pretty high, but she introduced the theme of the “single-life” that seemed to come up a lot throughout the show. Both Marcella Arguello (@Midnight, Night Train with Wyatt Cenac) and Rojo Perez (Conan, TruTV’s Comedy KO) talked about being single, and at no point did it feel repetitive. Marcella’s unabashed approach to stand-up is a nice compliment to Perez’s softer more down to earth approach. Telling you religious/Hispanic grandmother “Jesus was over 30 and he didn’t have any kids”, as opposed to buying pheromone spray is the type of dichotomy that kept the show alive. However, being single was not the only thing on these comedians cabezas (I’m working on it). The deadpan Jesus Trejo (“Variety Magazine’s Top 10 Comics to Watch”) talked about the creativity of being broke in offhanded comments like breaking into his neighbor’s house simply to restart the modem: something you don’t question, you just laugh; Vanessa Gonzalez (“Austin’s Best Standup Comic”) will indeed cut you out of her life if you point out the salsa on her shirt: Francisco Ramos (Lady Dynamite, Angie Tribeca, Rio) added a dose of reality in his stand-up recipe, and did it all with an infectious smile on his face that made it impossible to feel bad about the world. This showcase proves the power and success of creating spaces for minority comedians. Their voices need to be heard. Perspective matters. No one joke is the same, so shouldn’t the field of performers be just as diverse and wide-spread as the jokes themselves? Thanks once again to HuffPost and Más Mejor for creating such a space with this showcase. The reason why people go to comedy shows in the first place is to hear jokes, and by highlighting these voices all we’re doing is allowing ourselves to hear more jokes! SÍ. 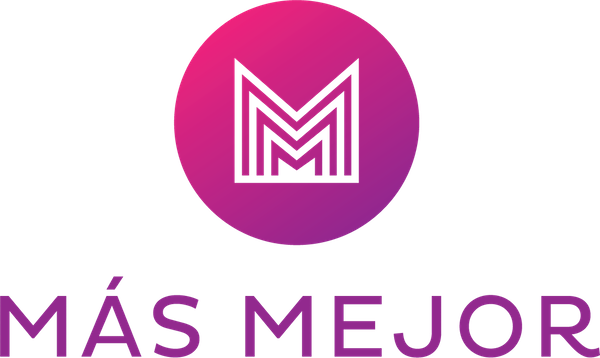 Mentions: Más Mejor is Broadway Video’s Latino-run comedy studio that focuses on creating latino-based content. Go to www.masmejor.com to see the massive amount of content they produce.